The Krannert Center for the Performing Arts was designed by Max Abramovitz. 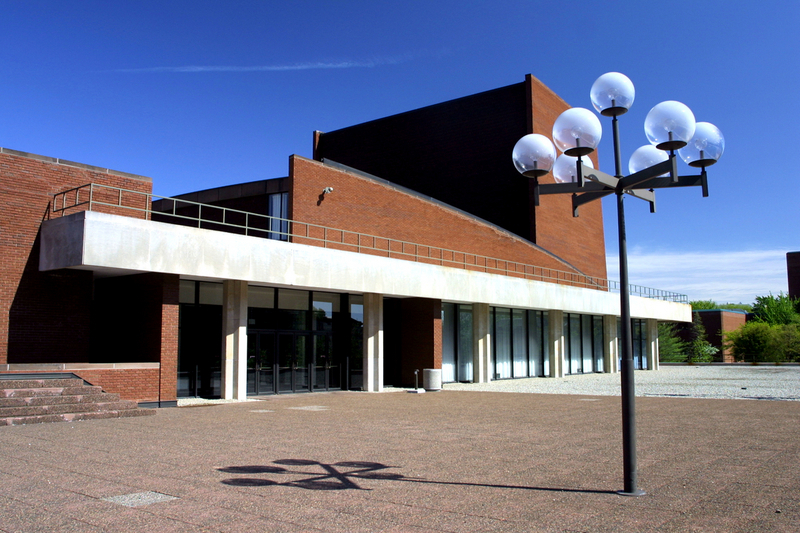 The educational and performing arts building was completed in 1969. It is located in Urbana. 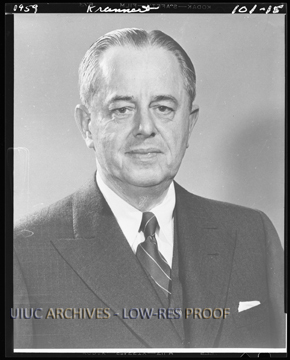 A native of Chicago, Herman Krannert was a 1912 graduate of the University of Illinois and the founder and chairman of the Inland Container Corporation. Ellnora Krannert was a native of Indiana and a graduate of Brenau College in Gainesville, Georgia. 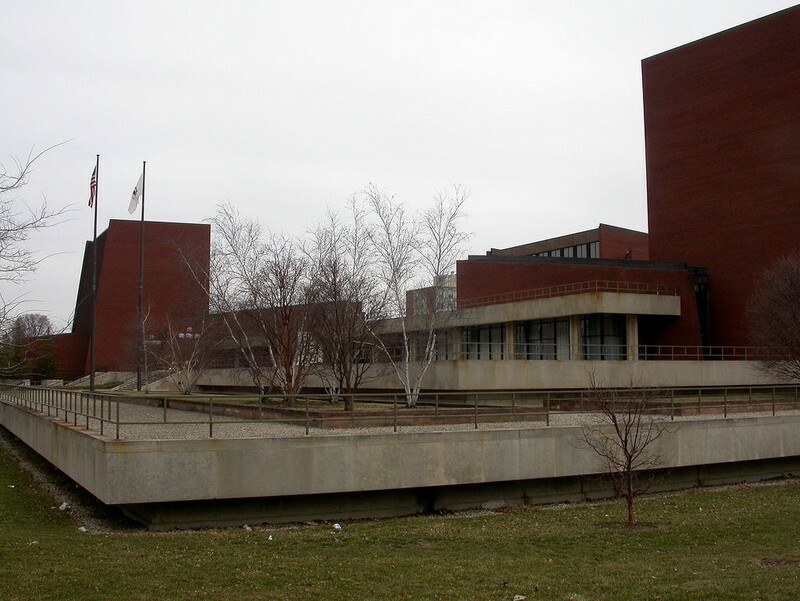 In September 1963, after a student committee had investigated what such a facility could and should offer the campus, Max Abramovitz, an Illinois graduate, was chosen as the architect, Jo Mielziner was hired as the theatre consultant, and Cyril Harris served as acoustician for the project. 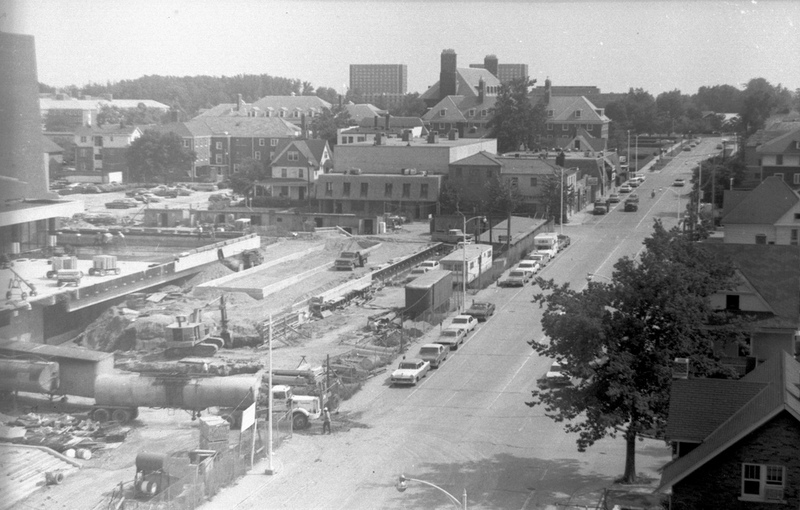 It took almost two years for the university to acquire the two square blocks of land where Krannert Center stands, and groundbreaking took place in August 1966. During that time, additional funds for construction were raised from private donations through the University of Illinois Foundation. The final cost of the building was approximately $21 million. The main lobby includes a floor made of teak from Thailand, which cost $1 million, and marble walls from Carrara, Italy. 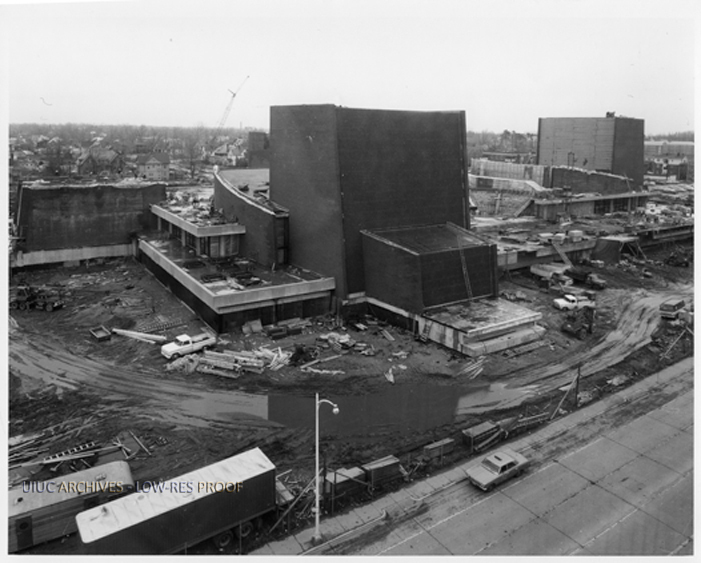 Krannert Center opened in April 1969 to high praise during its month-long dedication. A critic for The New York Times called the facility "one of the most ingeniously worked out art complexes anywhere," and a writer for the Christian Science Monitor noted that "the performing arts now have a home equal to the gilded science-palaces that adorn other campuses." In 1962, the Krannerts decided to make a major contribution to the University of Illinois and chose to build a performing arts center because they believed that to experience the arts was "one of the most rewarding and enriching experiences people can enjoy and, in these complex times, a most needed one." The Krannert Center for the Performing Arts is an educational and performing arts complex located in the campus. As a center for the Performing Arts, Krannert Center consists the Foellinger Great Hall which have 2,066 plush seats and ample wheelchair zones, the Tryon Festival Theatre which is the Home to the School of Music Opera Program, the Colwell Playhouse which has sound reinforcement and recording capability, and a 2,700-square-foot space Studio Theatre. 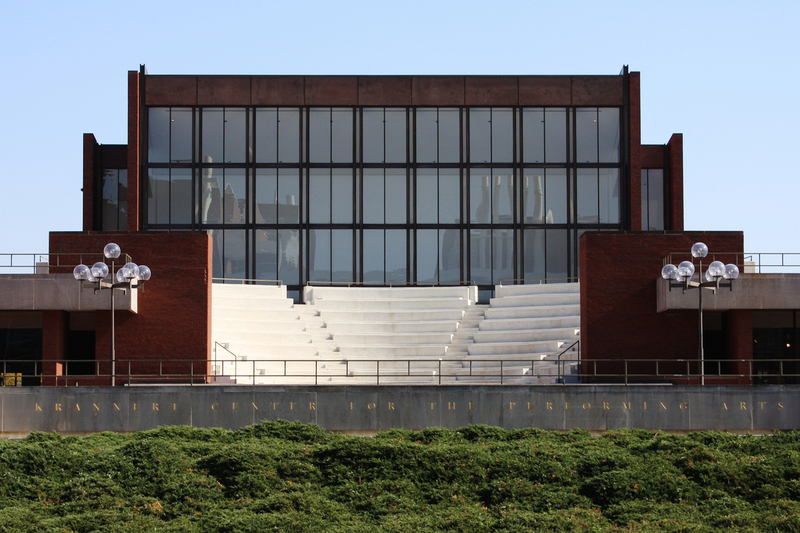 Outside the Krannert Center, there is a place called the Amphitheatre which is part of the original Krannert Center structure to host outdoor events. At the heart of the lobby, it is the home for musical events called Stage 5. Max Abramovitz was an architect best known for his work with the New York City firm Harrison & Abramovitz. He graduated in 1929 from the University of Illinois at Urbana-Champaign School of Architecture. In 1961, he won the Rome Prize. Abramovitz also received an honorary Doctorate in Fine Arts from the University of Illinois in 1970. His drawings and archives are held by the Avery Architectural and Fine Arts Library at Columbia University. Mr. Abramovitz will be greatly missed by the entire community of architects, who now mourn the loss of a truly great talent. We here at the University of Illinois at Urbana-Champaign feel an especially significant loss as Mr. Abramovitz maintained a very close relationship to our university over the course of his entire life and many of us knew Max's passion for architecture, his intellectual curiosity and warm kindness personally. Mr. Abramovitz was not only an alumnus but also a dear friend to the University of Illinois, the College of Fine and Applied Arts and the School of Architecture. Mr. Abramovitz's design genius gave our university both the inspiring Assembly Hall and the exquisite Krannert Center for the Performing Arts and his warm generosity continues to provide support to the School of Architecture through a lecture endowment bearing his name. 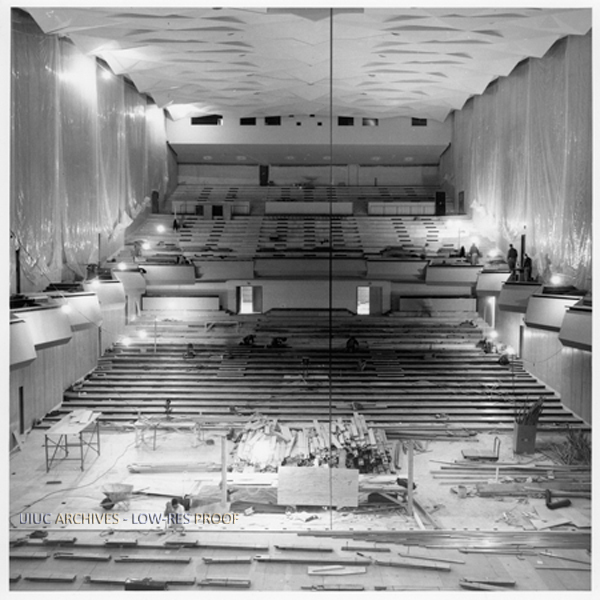 Great Hall construction: Image courtesy University of Illinois Archives. Please contact the Archives if you can help identify the copyright holder. Herman Krannert: Image courtesy University of Illinois Archives. 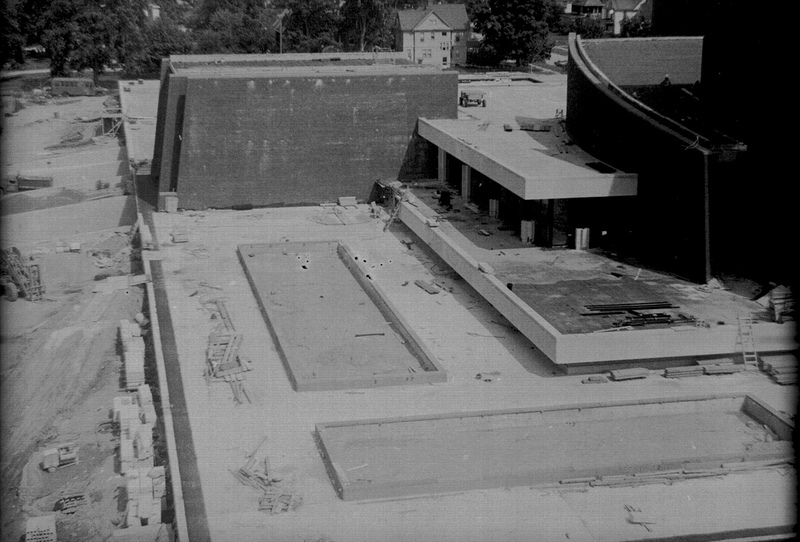 Krannert Center construction, north side, 1968: Copyright Roger J. Inman. All rights reserved. 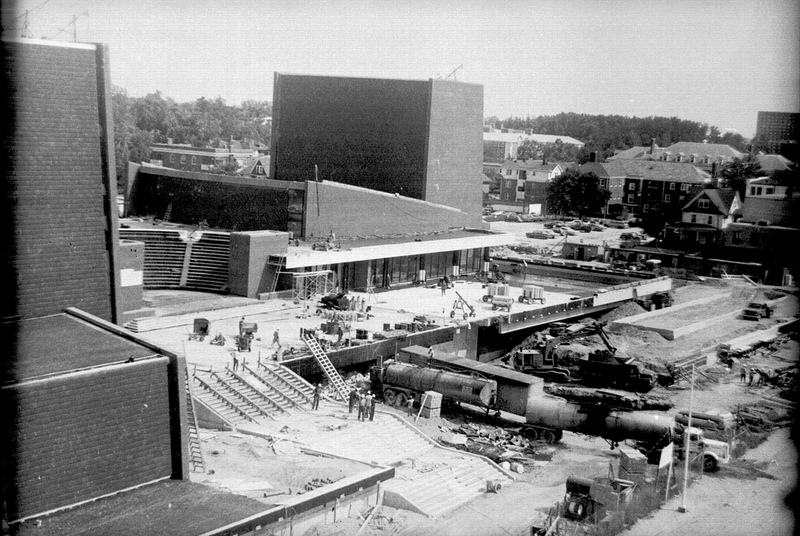 Krannert Center construction, 1968: Copyright Roger J. Inman. All rights reserved. Nihar Kantipudi, Hengqi Liu, and Shijie Zhou, “Krannert Center for the Performing Arts,” ExploreCU, accessed April 20, 2019, https://explorecu.org/items/show/285. "Max Abramovitz." Wikipedia. Wikimedia Foundation, 11 May 2013. Web. 17 Nov. 2013. <http://en.wikipedia.org/wiki/Max_Abramovitz>. "Krannert Center for the Performing Arts." Our Story. N.p., n.d. Web. 17 Nov. 2013. <http://krannertcenter.org/meetus/thevault/ourstory.aspx>. Baumgartner, Kurt. "Max Abramovitz 1908-2004." N.p., n.d. Web. 17 Nov. 2013. <https://web-s.arch.uiuc.edu/events/news/2004/09_17_04/>. "Krannert Center for the Performing Arts." Wikipedia. Wikimedia Foundation, 17 Nov. 2013. Web. 18 Nov. 2013. <http://en.wikipedia.org/wiki/Krannert_Center_for_the_Performing_Arts>. "Krannert Center for the Performing Arts." Our Story. N.p., n.d. Web. 18 Nov. 2013. <http://krannertcenter.org/meetus/thevault/ourstory.aspx>.